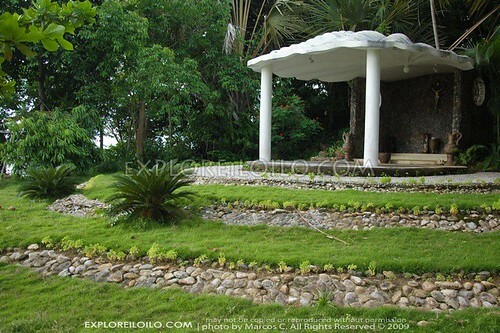 Marbuena Island Resort, Ajuy, Iloilo. Check rates, book online, read reviews, view contact details and other helpful information. 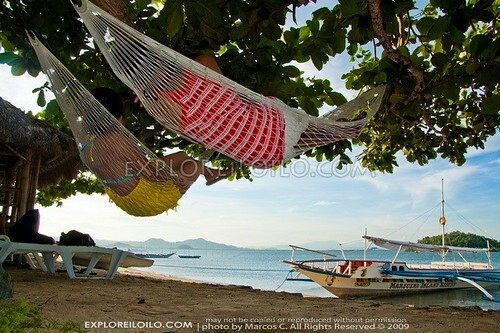 The unspoiled paradise islands and white sand beaches that dot the northern part of Iloilo are slowly gaining the attention of a growing number of tourists. A common concern of potential tourists is that there are little to no accommodations if they wish to visit these sought after parts of the province. Fortunately, they can now have the choice of spending a relaxing weekend getaway at Marbuena Island resort, a charming full featured island resort blessed with a white sand beach, azure blue waters, great islandscape panoramic views, excellent facilities, and a whole lot of nature’s surprises and discoveries. 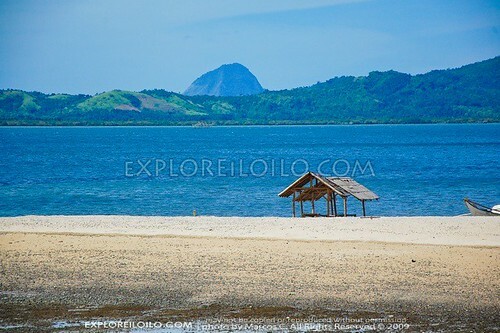 First to greet visitors to Marbuena Island Resort is its gleaming white sandbar, a characteristic sand formation, which changes shape depending on the direction of the wind and stretches more than a hundred feet away from the shore during low tide. 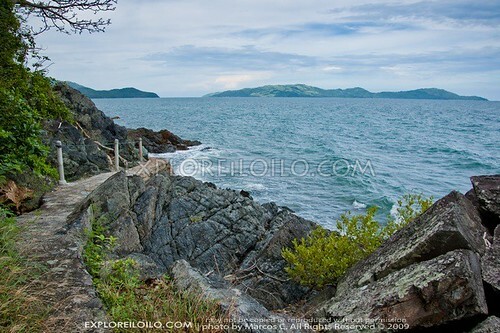 Perhaps the most interesting part of Marbuena island is its “nature trail,” which circles the whole island, offering a panoramic view of the sea and surrounding islands — you can catch a glimpse of the islands of Concepcion including the towering Mt. 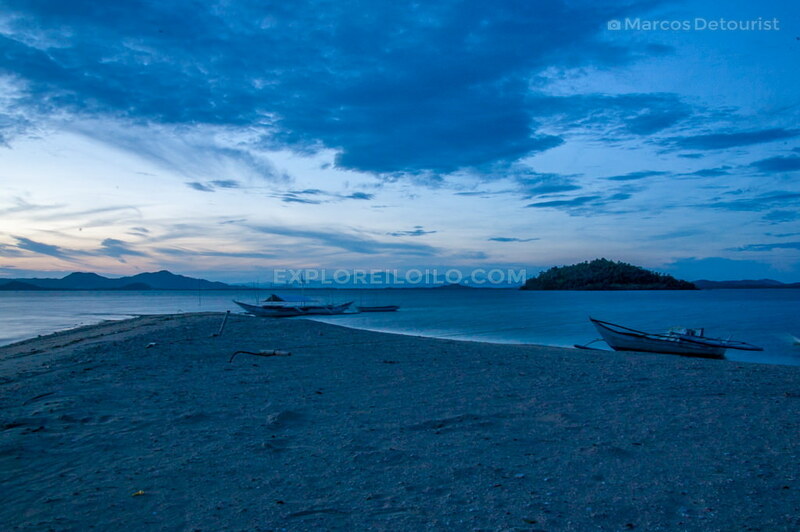 Pan de Azucar in the north, the island and mountain ranges of Negros Occidental in the east, The islands of Nasidman and Calabaza in the south, and mainland Panay in the west. 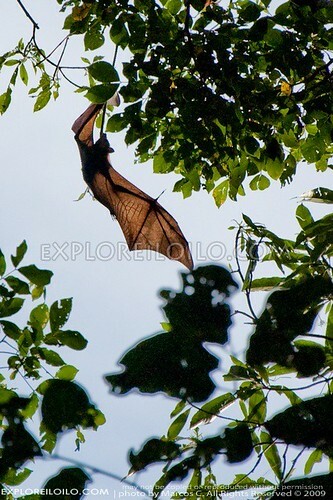 The trail continues inland into an old growth forest, where visitors can get to experience being surrounded by a preserved forest ecosystem dominated by a canopy of towering trees and the sounds of large flocks of migratory birds and fruit bats, which has made the island their enclave. 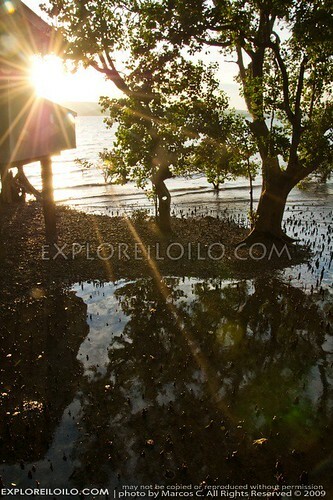 Another interesting natural attraction of Marbuena Island (cited by environmentalists), is its thriving collection of mangrove species, which support the biodiversity of its waters. 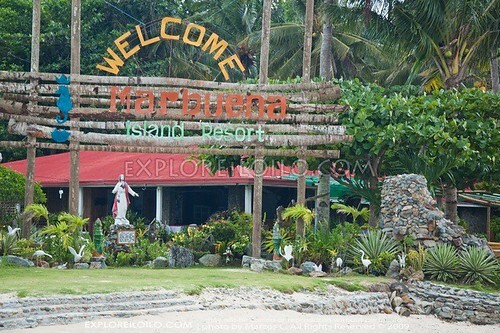 Marbuena Island Resort offers the most complete facilities and amenities in all of the island destinations in Northern Iloilo. 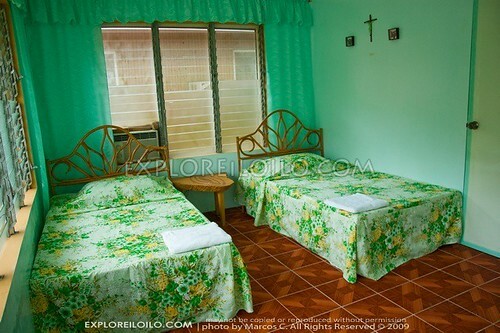 They have several air-conditioned and fan cooled rooms/cottages suited for varied types of travelers. 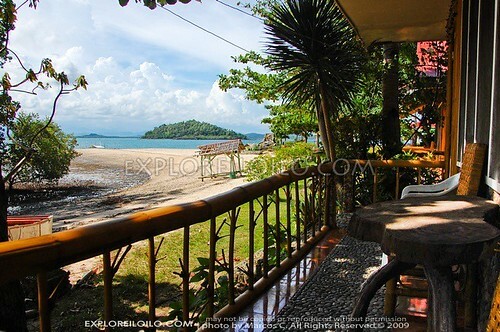 The resort has a restaurant ready to satisfy your gastronomic needs and has recreational facilities such as a playground, picnic tables, and basketball court, and venues for seminars, weddings, birthdays, and other occasions. Visitors can take an island hopping trip from Marbuena Island Resort to visit the surrounding snorkeling areas and tour the other nearby islands of Ajuy. You can choose to take the four island tour or the seven island tour. 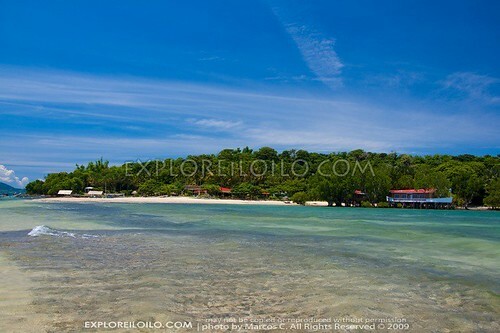 Part of the itinerary includes Calabaza Island, where the ruins of an 18th century Spanish era lighthouse (also called Parola) stills stands, Nasidman island, where you can experience the life in a typical fishing community, as well as the other islands, white sand beaches, and snorkeling sites in the area. 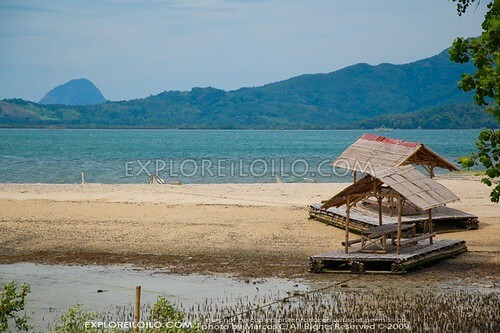 Marbuena Island Resort is located one and a half kilometers off the shore of mainland Ajuy, a coastal town in Northern Iloilo approximately 2 hours away from Iloilo City. 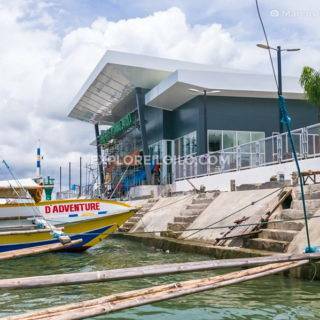 Those wishing to commute to Marbuena Island Resort can take an Estancia/Concepcion bus in Tagbak Terminal, Jaro District, Iloilo City and request the driver to drop you off in Brgy. Mangorocoro, Ajuy. 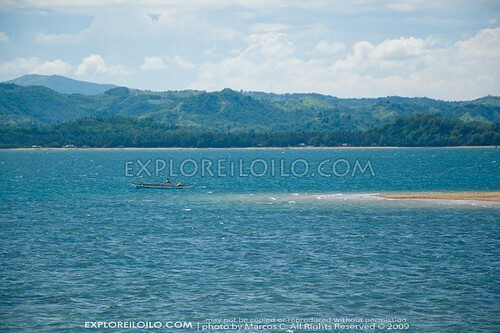 From there, it is a short tricycle ride down a dirt road to the community port of Brgy. 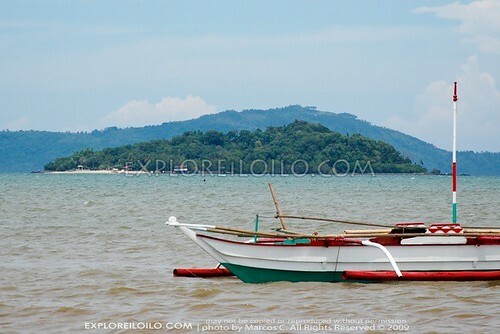 Mangorocoro, where the pumpboat charter (motorized outrigger) of Marbuena Island Resort can pick you up and transport you to Marbuena Island. 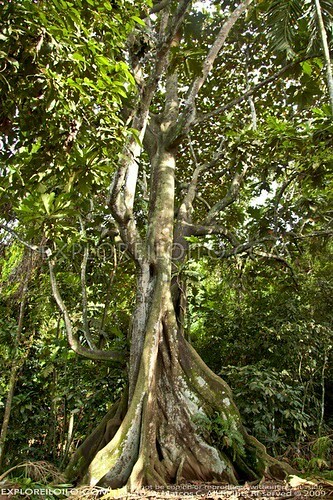 Old Growth Forest in Marbuena Island. 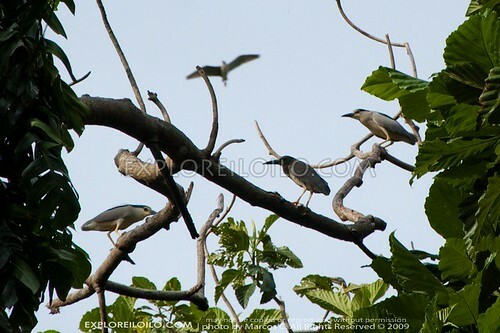 Bird Watching – Night Herons perched and flying about on the tops of trees. 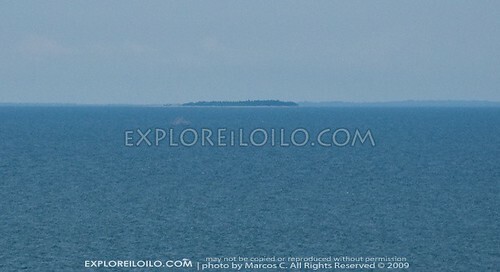 If you’re lucky you can even see an eagle hovering around the island during sundown. 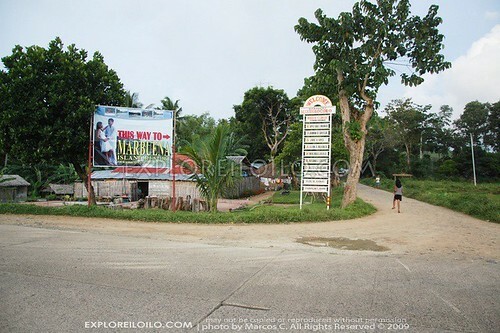 Intersection to community port of Brgy. 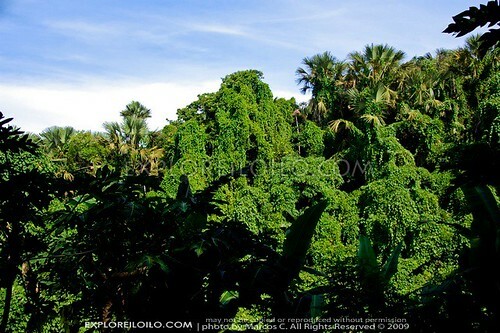 Mangorocoro from the highway section in Ajuy. View of Marbuena Island Resort from Brgy. Mangorocoro. 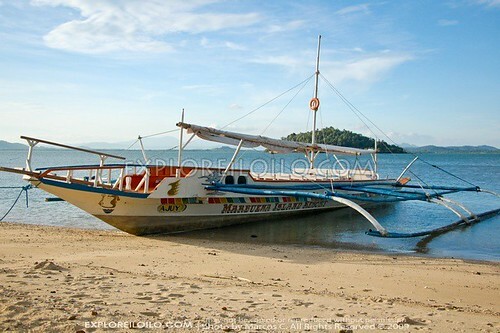 Boat Charter of Marbuena Island Resort. 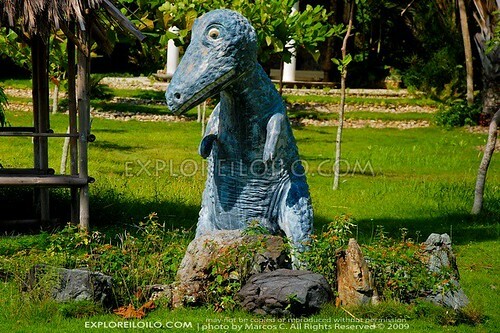 Discover more blogs and travel tips in Ajuy. ask lang ako kung gaano kalaki ung buong island?? kung gaano kataas ang above water level nya??? (tama ba ung tanong ko??) 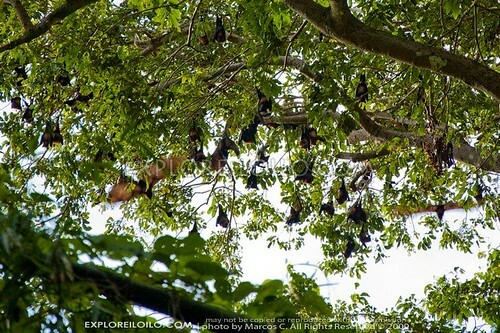 please, i really need the answer.. thanks..
Let us help preserve this island…!!! 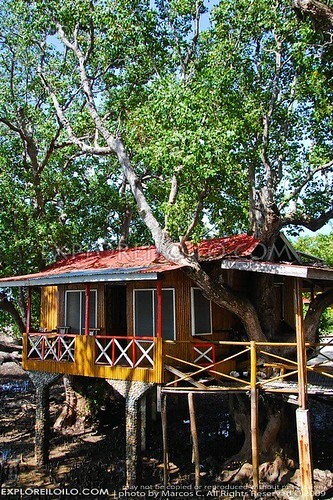 Take nothing but pictures,Leave nothing but memories in this marvelous and wonderful SANCTUARY called the MARBUENA ISLAND.! ENJOY THE PLACE WITH YOUR FAMILY AND FRIENDS!!! 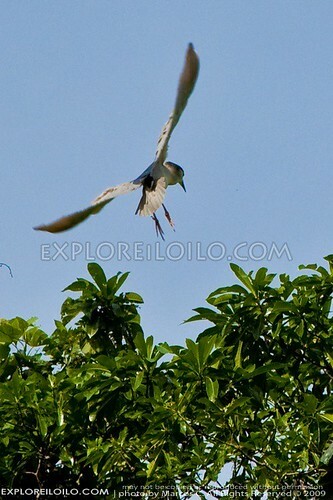 i am so fortunate that i was able to visit MARBUENA island for several times…but i’m always glued and owed everytime i see this unspoiled creamy white sand beach and the creatures found in this island…the long legged birds that perches on the trees with a fish on its beak. birds that u cant see everyday but only in this island,the stunning century old trees and mangroves that is well protected,the puzzle fruit that makes evry1 smile if they get to solve it,the fruit bats that serve as the leaves of the trees,the Giant clams that peacefully sits underwater the fishes that makes the waters of this island a kaleidoscope.Much more the amenities and specially the welcoming ambiance and the wonderful people that serves you with a sweet smile.Thanks to the management and staff for this wonderful place.This is Noknok of CSJ,Jaro iloilo. Thank you for posting such beautiful island resort.. I haven’t heard this island even before… Now I have something to share again with my friends, to be our next itinerary..Marbuena Island! 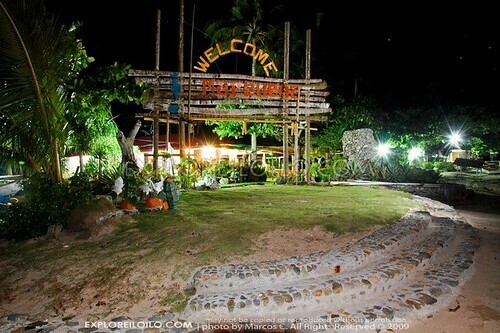 why not try La Puerta al Paraiso in San Roque, Nueva Valencia Guimaras? That place is virgin, awesome and magnificent! 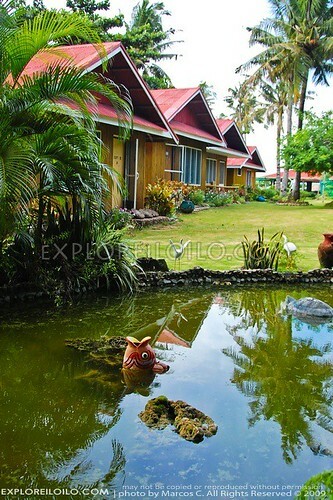 It’s a high-end resort with excellent facilities. 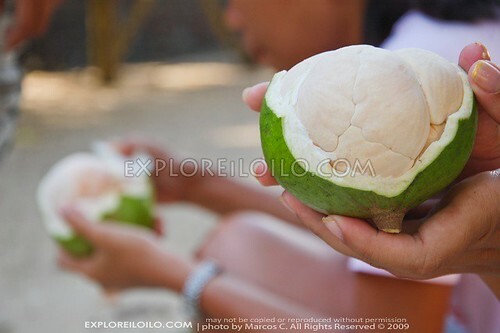 kanami gid magsalom sa dagat sang iloilo noh!!! taga banate man ako nakapamana ako sang taga palawan. 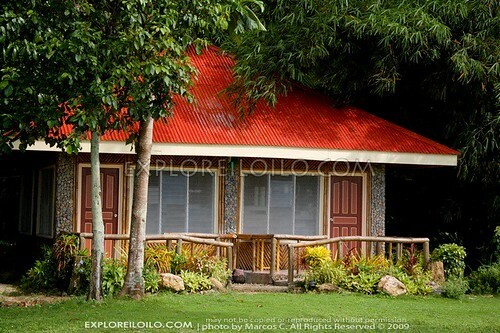 i’ve gone already that nasidman when i was in college.very relaxing n’ kanami gid magkadto da ulit pero that time d pa gaano kadevelop…sulong iloilo! thnx marcos for the info. 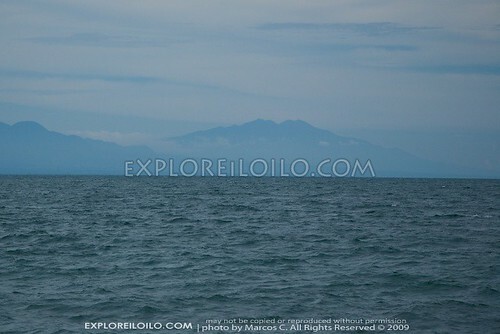 taga iloilo man ko pero if not for this blog wala ko ideya for other place to go to aside sang mga nabal an ko na. at least, damu na option kon gusto ta mag lingaw2x da during vacation. more power to you! 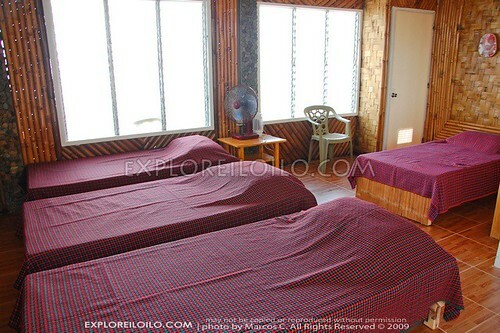 Wow, I will be visiting Iloilo this coming Friday and will be staying at Sarabia Manor Manor Hotel – This site is great! 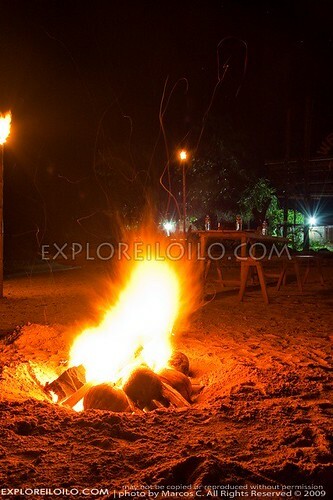 Very helpful for a first timer like me in Iloilo – Lots of things to look forward! Marami talagang magagandang lugar dito sa Pilipinas, kung kaya ko nga lang mapuntahan isa isa at damahin ang likas na ganda nito sisimulan kona. Hello! I love traveling and discovering new places especially here in Iloilo. I am happy to hear about Marbuena Island..Hopefully, I can visit this place as soon as possible..hahaha thanks for the info. 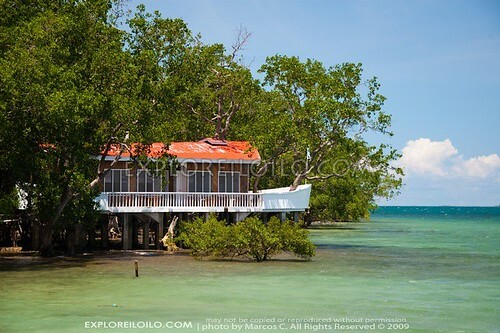 i just surf this site now, as i’ve seen the pics, so much improvement compared to a one cottage only and that was i think around 1991. good to see more things to do while spending sometime in the island.good luck. 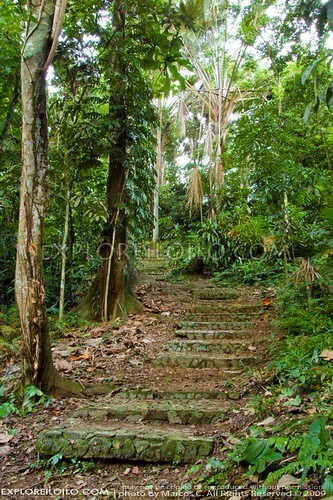 now this place have an entrance fee? 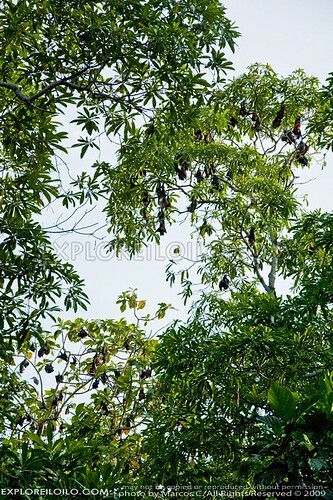 I’ve tried searching for the english/formal name of the “puzzle fruit tree” but I can’t find it. Basta puzzle fruit ah. Great stuff! Two thing I might love this place, snorkeling, snorkeling! What’s the other stuff? O course, again, SNORKELING! Why? Because Marbuela is supposedly prestine and unspoiled by humans (yet). Or is it not? 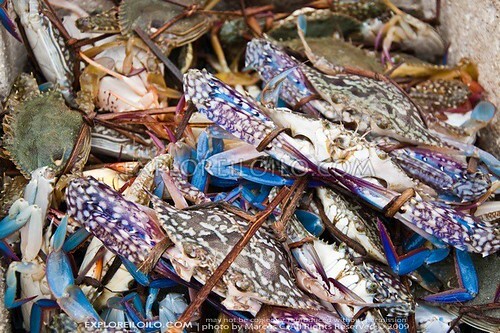 Guimaras and Boracay, is not as good as it used to be for snorkeling. 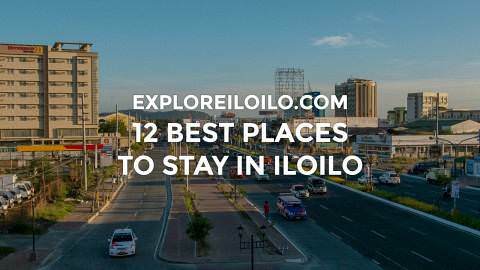 Dugang naman sa mga places to visit pag balik mo di Lee. 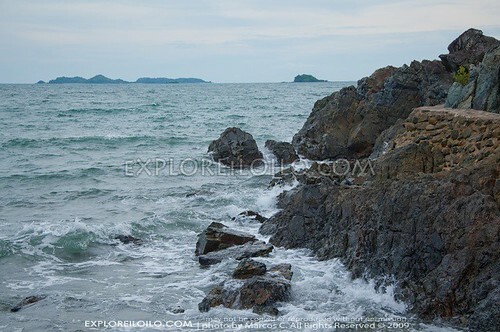 I haven’t actually seen their snorkeling sites but the island itself is preserved well by the owners.